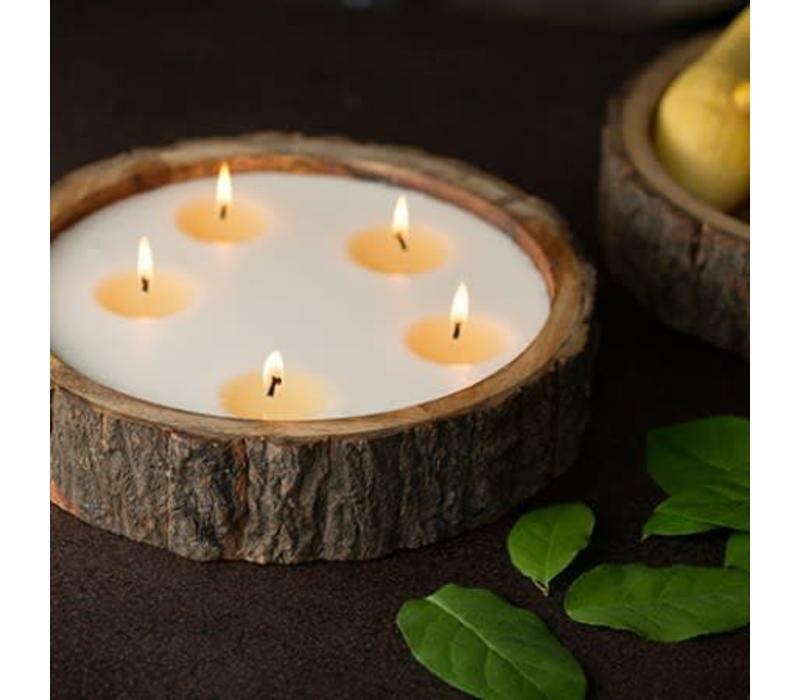 Knotted twine adds an earthy sophistication to this double-wicked candle in two enticing scents; Ginger Patchouli & Tobacco Bark. 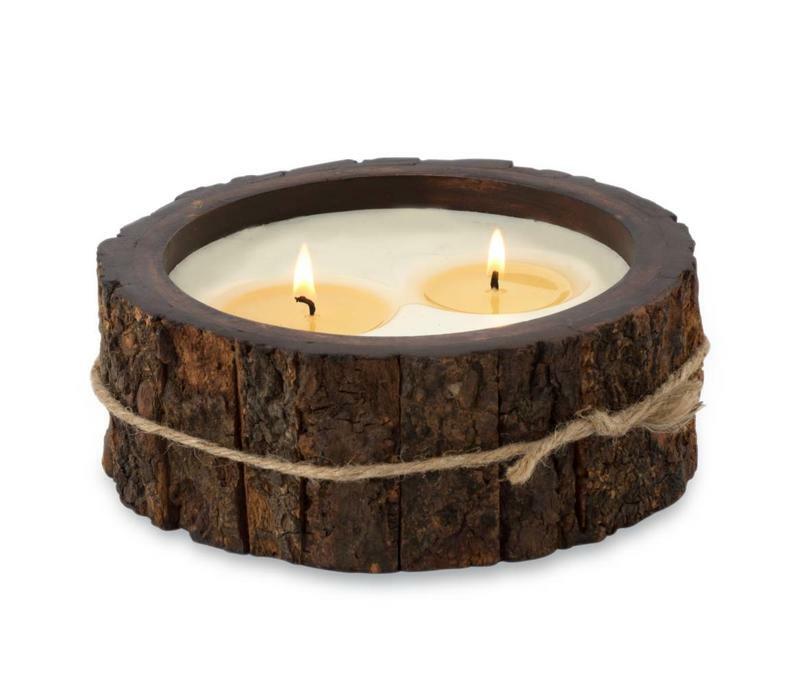 Knotted twine adds an earthy sophistication to this double-wicked candle in two enticing scents; Ginger Patchouli & Tobacco Bark. 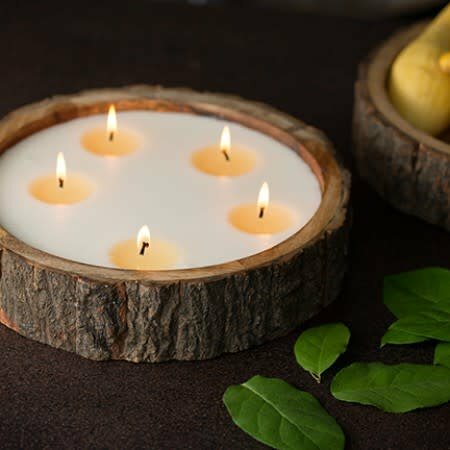 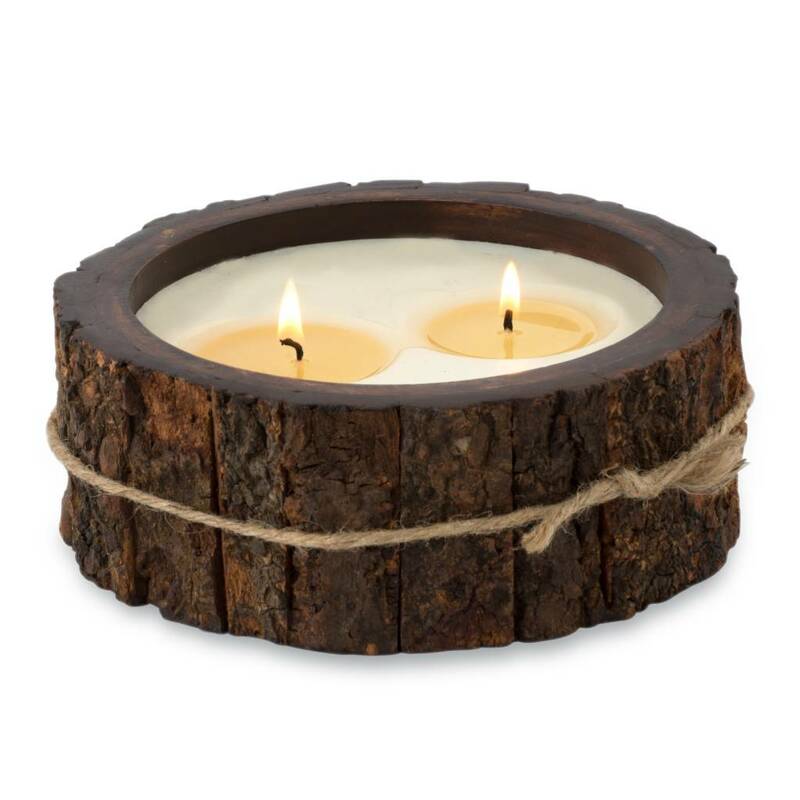 The candles are made with renewable mango wood and reclaimed wood bark. The wax is a soy blend and is hand poured in the USA.